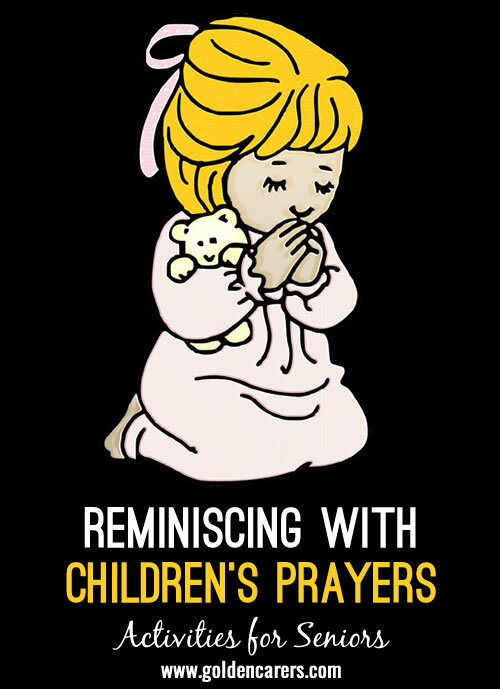 Prayers are a wonderful theme for reminiscing. Encourage your clients to share bedtime prayers from their childhood. Here are a few prayers for inspiration.